Soundcraft by HARMAN and UK distributor Sound Technology Ltd are pleased to announce immediate availability of the new Soundcraft Mini Stagebox 32i and Mini Stagebox 16i, offering customers multiple channels of remote controlled I/O for Soundcraft Si series products, including the Si Impact mixing console. 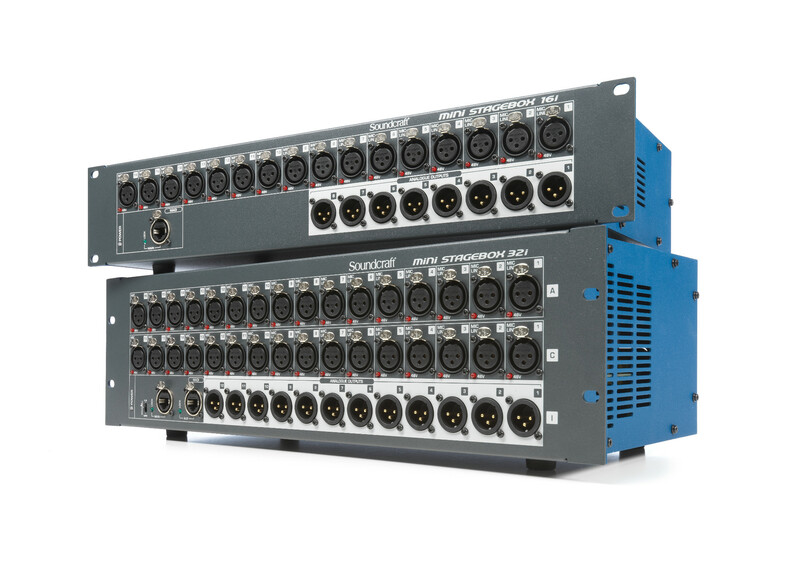 The new rack-mount stageboxes are equipped with high-quality components, including Studer-designed preamps, to deliver exceptional sound quality, convenience and robust ease-of-use. 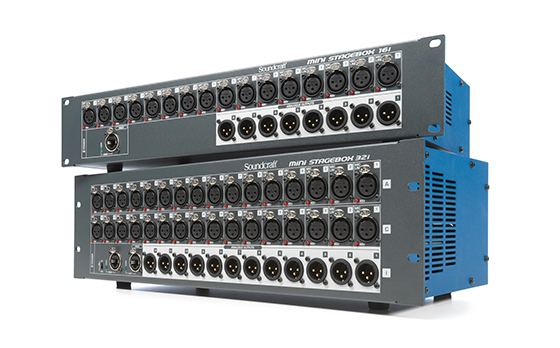 The Soundcraft Mini Stagebox 32i and Mini Stagebox 16i are available now priced at £1299 and £699 RRP inc VAT respectively.